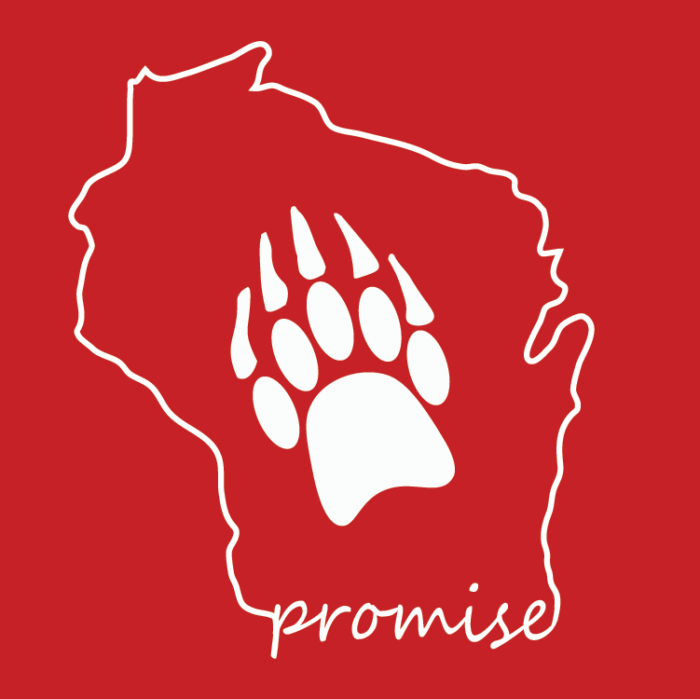 Originally announced in February 2017, the Badger Promise is a commitment to Wisconsin resident, first-generation college students. The program guarantees a period of free tuition and segregated fees to those who have successfully transferred from any of the two-year UW Colleges or from liberal arts associate degree programs at Madison College (Madison Area Technical College), Milwaukee Area Technical College, Western Technical College, Nicolet College, the College of Menominee Nation, and the Lac Courte Oreilles Ojibwa Community College. UW-Madison has existing transfer agreements with partner institutions that guarantee admission to students meeting the academic requirements. Badger Promise builds on that, providing free tuition and segregated fees to qualifying Wisconsin residents whose parents did not graduate from a four-year college. Those students will receive grant/scholarship aid of up to two (2) semesters of in-state tuition and segregated fees (currently $10,534 for full-time enrollment). 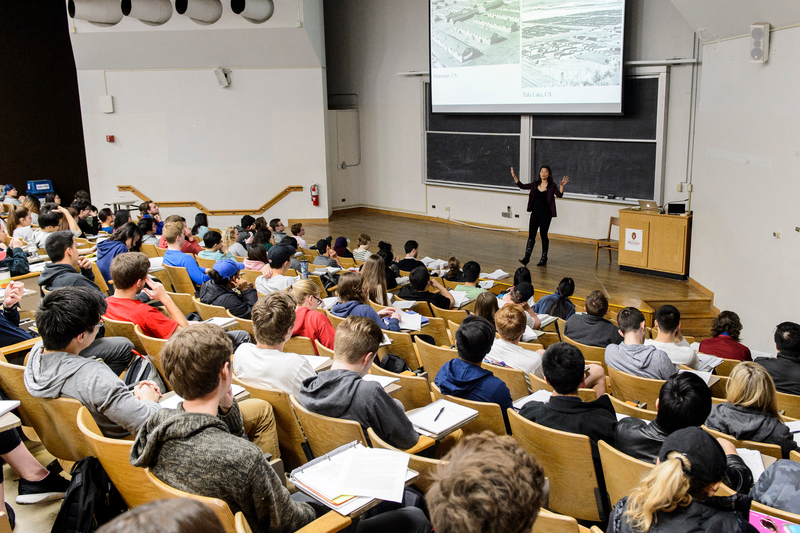 Those who have shown Federal Pell Grant eligibility at UW-Madison will receive up to four (4) semesters of in-state tuition and segregated fees (currently $21,067 for full-time enrollment). What if the student doesn’t attend full-time? The financial aid commitment will cover the full cost of tuition and segregated fees for the number of credits that a student chooses to take. However, it will only be available for two (2) or four (4) semesters (depending on student eligibility for the Federal Pell Grant). What grants/scholarships will a Badger Promise student receive? 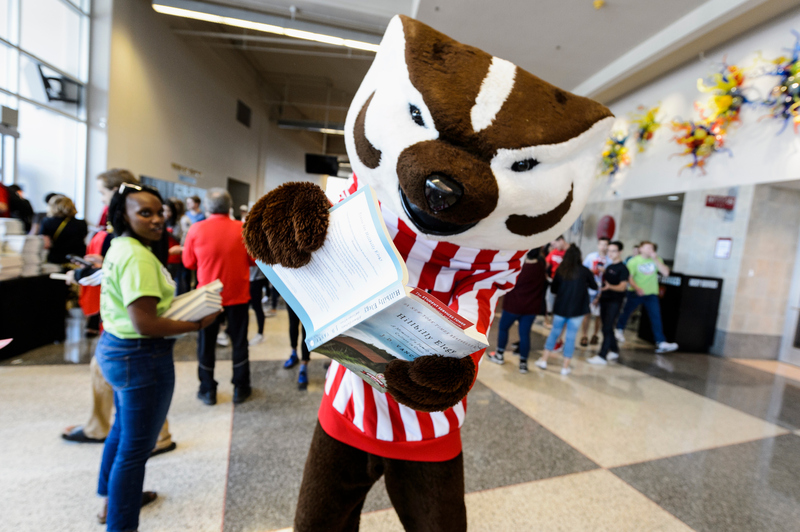 Structured as a last-dollar award, Badger Promise will supplement the gap between any scholarships or grants offered outside of this program and the full cost of tuition and segregated fees. Institutional scholarships (i.e. 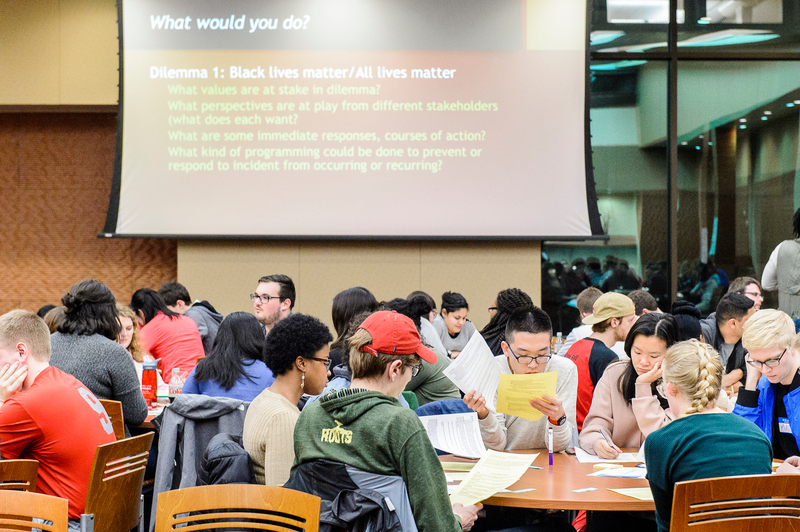 from UW-Madison Schools/Colleges/Departments) will be excluded from the calculation with the exception of UW-Madison scholarships that either cover a student’s full cost of tuition and segregated fees or that are paid from the Athletic Department. If the student receives other merit-based aid from any source, these awards would be considered in determining the gap between current grant/scholarship aid and the full cost of tuition and segregated fees. This also means that although a student is getting the Badger Promise commitment, they may not have a “Badger Promise Grant” included as part of their financial aid award. Are scholarships from private sources used to calculate the student’s gap? Yes, all sources of gift aid (grants or scholarships) from private sources are included in the calculation. If a student receives additional funding from any source after the gap between current grant/scholarship aid and the full cost of tuition and segregated fees is calculated, students will still have their tuition and segregated fees covered, but any amount of “Badger Promise Grant” may be reduced or canceled. If the student is getting a private scholarship that covers their tuition and segregated fees, can s/he use the Badger Promise for future semesters? No, the Badger Promise is only available during the first two (2) or four (4) semesters and cannot be deferred. However, we encourage students to check with their private scholarship to see if that can be used in a subsequent semester/year instead. 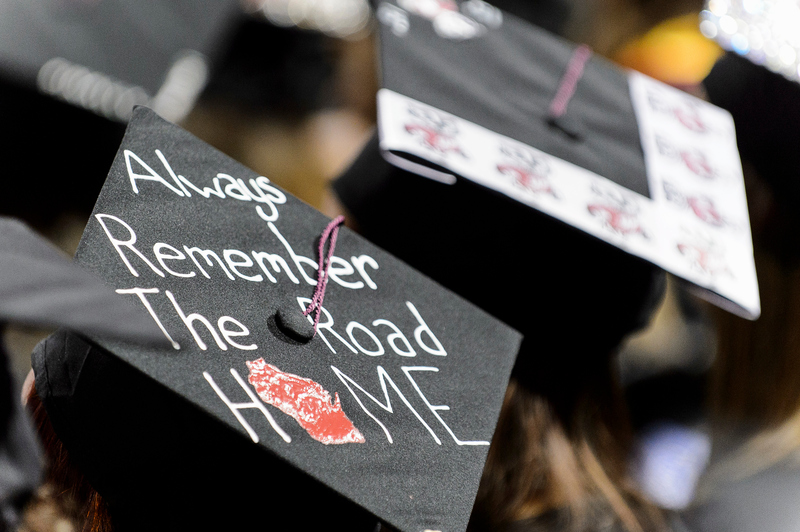 What will Badger Promise do to address student expenses beyond tuition and segregated fees? Badger Promise is a commitment to tuition, but we recognize this is just one step in the direction of expanding access for first-generation and low-income students. Although there is no guarantee to meet the full cost of attendance, students still have access to other forms of funding to assist in meeting their educational costs. When does Badger Promise begin? Immediately. Eligible students who transferred to UW-Madison for fall 2017 from one of the partner institutions will be notified by the Office of Student Financial Aid and will receive an updated award package. Do students need to apply for Badger Promise? No. Badger Promise is automatic for eligible students who have completed the Free Application for Federal Student Aid (FAFSA). No separate application is necessary and the Office of Student Financial Aid will automatically notify eligible students. Yes! All students eligible for Badger Promise are required to submit the Free Application for Federal Student Aid (FAFSA) to verify Federal Pell Grant eligibility as well as to ensure consideration of all other types of gift aid. From what schools can a student transfer and get Badger Promise? Students can transfer from any of the two-year UW Colleges (including UW Colleges online) or from liberal arts associate degree programs at Madison College (Madison Area Technical College), Milwaukee Area Technical College, Western Technical College, Nicolet College, the College of Menominee Nation, and the Lac Courte Oreilles Ojibwa Community College. What academic standards must a student meet to be admitted as a transfer student? Students must be admitted according to the current academic preparation standards of the University. More information can be found online www.admissions.wisc.edu/apply/transfer/index.php. Can a transfer student be admitted for the spring term and receive Badger Promise? Yes. Transfer students can apply for admission to begin either for the fall or spring terms and will still be considered for Badger Promise. To be eligible, must a student have signed a Declaration of Intent to Participate (the form typically submitted before sophomore year) in a transfer agreement? How is Badger Promise funded? Badger Promise students will be funded from a package of institutional, state, federal and private sources, depending upon their situation and the funding for which they qualify. 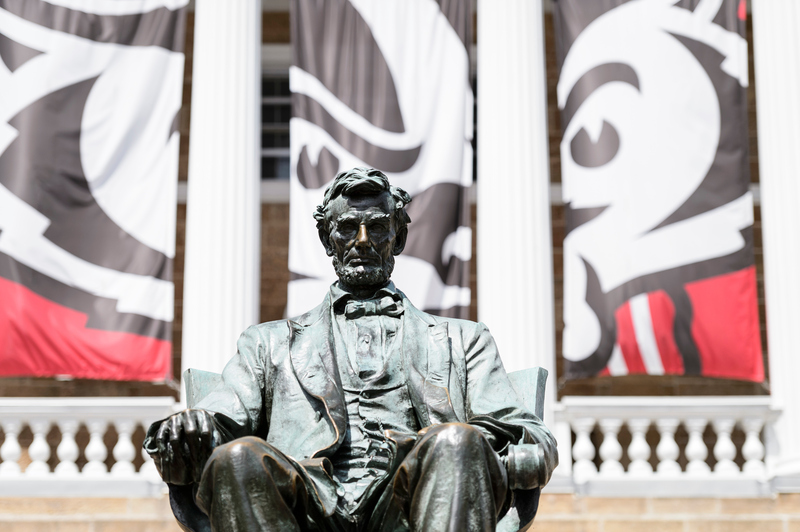 Regardless of the source of the funds, UW–Madison will commit tuition funding for two (2) or four (4) semesters depending on their Pell Grant status. How is a student eligible for the Federal Pell Grant? Eligibility for the Federal Pell Grant is based off a student’s expected family contribution (EFC) as calculated by the Free Application for Federal Student Aid (FAFSA). What if the student is eligible for the Federal Pell Grant for the incoming/first semester, but then their eligibility changes? Student eligibility for the Federal Pell Grant is determined when the FAFSA is submitted. Students who are eligible for the Federal Pell Grant during their first semester will retain the Badger Promise for four (4) semesters, even if Federal Pell Grant eligibility changes. Neither parent holds a four-year college/university degree. How long can a student receive the Badger Promise? Badger Promise either covers two (2) or four (4) semesters of tuition and segregated fees depending on their Federal Pell Grant eligibility. Can a student receive Badger Promise funding in the summer? Badger Promise only applies to fall and spring semesters and cannot be applied to summer term studies. However, other financing options may be available for summer educational expenses, including the Undergraduate Scholarship for Summer Study. Can a student use the Badger Promise to study abroad? No. However, other financing options may be available for study abroad expenses. Students should still submit the FAFSA and we also strongly encourage students considering studying abroad to meet with both a Study Abroad and Financial Aid advisor to consider those options. https://www.studyabroad.wisc.edu/. Can a student use the Badger Promise for coursework taken at another school? No. However, other financing options may be available so we strongly encourage students who are considering taking coursework at another school to submit the FAFSA and meet with a financial aid advisor. Why are only transfer students eligible for Badger Promise? The transfer student pathway at UW-Madison represents a vital component of our commitment to the state. We believe a four-year degree is valuable and want to eliminate as many barriers as possible for students who want to pursue one. Students who transfer from our two-year partner schools are 70 percent more likely to be first-generation college students than students admitted as new freshmen, and they are almost twice as likely to be Federal Pell Grant eligible. Students transferring into UW–Madison through our two-year partner schools can earn some portion of their degree credits at lower-cost schools closer to their homes and then receive a guaranteed level of aid at UW–Madison, significantly increasing access by lowering the overall costs of their education. Why isn’t funding available to other current transfer students? 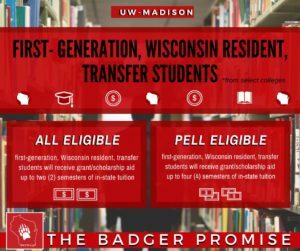 Badger Promise was first announced in February 2017 and is able to fund incoming transfer students beginning fall 2017 and on. Welcome to a new academic year at the University of Wisconsin-Madison. As we embark on the fall semester, I want to recap some highlights from the summer, and look ahead to some priorities in 2017-18.